NEW DELHI: A sub-inspector of Delhi Police allegedly ran over three women near south Delhi's Badarpur flyover around 9.30 am today. Sub-inspector Rishi Pal, 59, who was allegedly driving his own private car, has been arrested for causing death by negligence, the police said. The policeman, who was posted at the police headquarters in ITO, was on way home after a night shift. He had apparently dozed off at the wheels when the car hit the women -- sanitation workers who were sweeping the streets -- said police sources. Eye-witnesses say the policeman did not run from the spot. He stopped the car, following which a large crowd gathered. One of the women had died on the spot. The injured women were taken to the hospital, where they died. 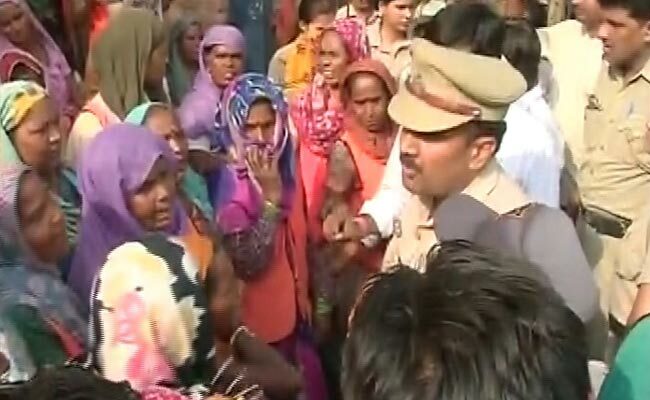 The families of the women, however, claimed the police are yet to take action. Bobby, 20, the son of Shakuntala, one of the victims, said, "The police are not doing anything, we haven't seen the accused arrested yet." The teenage daughter of another woman also said no action has been taken. This was the second controversy involving the Delhi Police in as many days. In another outrage yesterday, a policeman, Head Constable Satish Chandra, was caught on camera attacking a woman with a brick in broad daylight. The woman was driving home in a two wheeler with her children. The policeman had flagged her down after she allegedly jumped a traffic signal. The women said he demanded a bribe and when she refused to pay, kicked her two-wheeler. She retaliated, throwing a stone at his bike. A mobile phone clip recorded by a passer-by shows the woman picking up a brick and hurling it at the policeman's bike. The policeman is seen striking back with another brick, which hits the woman on her back. He allegedly also twisted her arm. Satish Chandra was later dismissed from service and a case was registered against him.